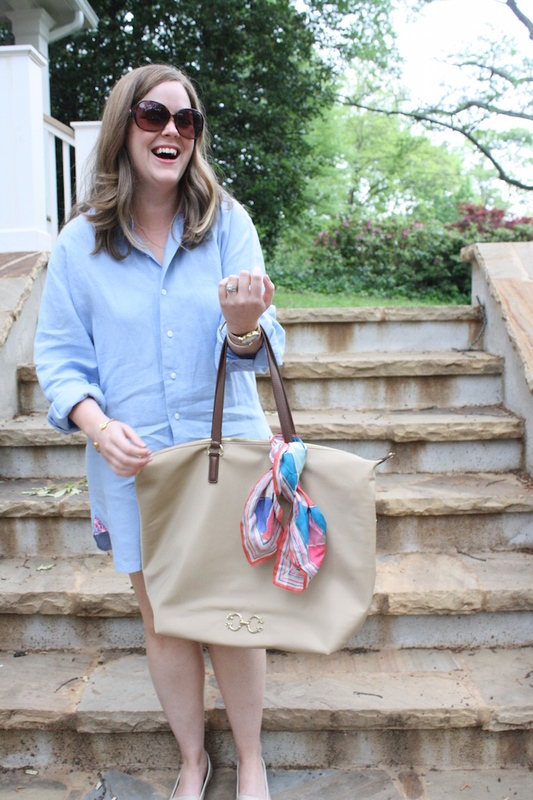 One of my favorite things about spring and summer is the ease of tossing on a dress. In the winter, it's such a process. You usually need tights, something with sleeves, a scarf, and a coat...it's exhausting! But in the spring and summer, you can toss a dress on and GO. Last week, I shared my amazing thredUP haul with you, and this week, I'm bringing you the completed outfit. 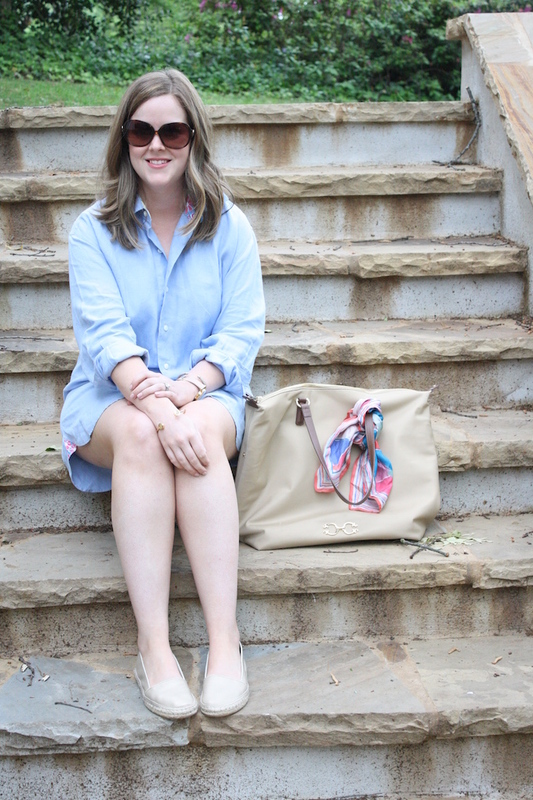 Each of the main pieces seen here is from thredUP with the exception of my tote bag. However, it wasn't just a coincidence that I chose to feature my C.Wonder tote here. Even though C.Wonder went out of business a few years ago, you can still purchase tons of C.Wonder items at thredUP! It's one of those brands that I had almost forgotten about, but it's been given new life with thredUP. 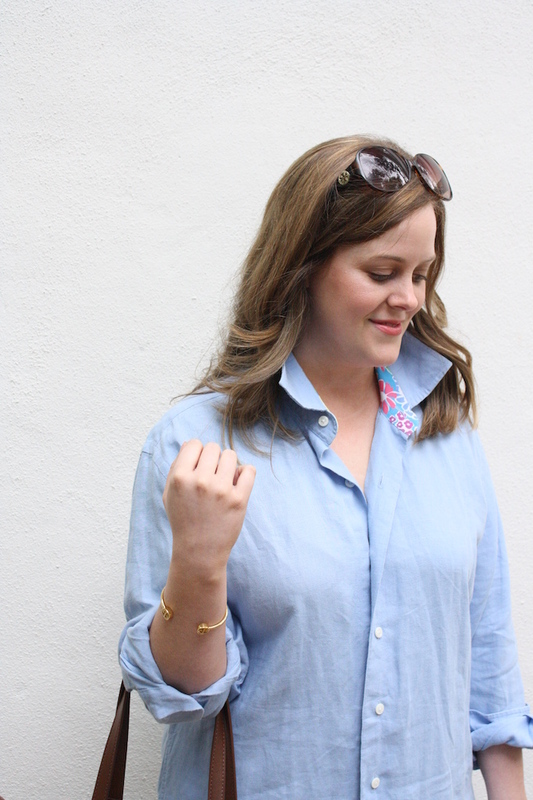 Chambray is one of my go-to fabrics, especially in the summer, and this chambray linen shirt makes the perfect summer get-up, don't you think? 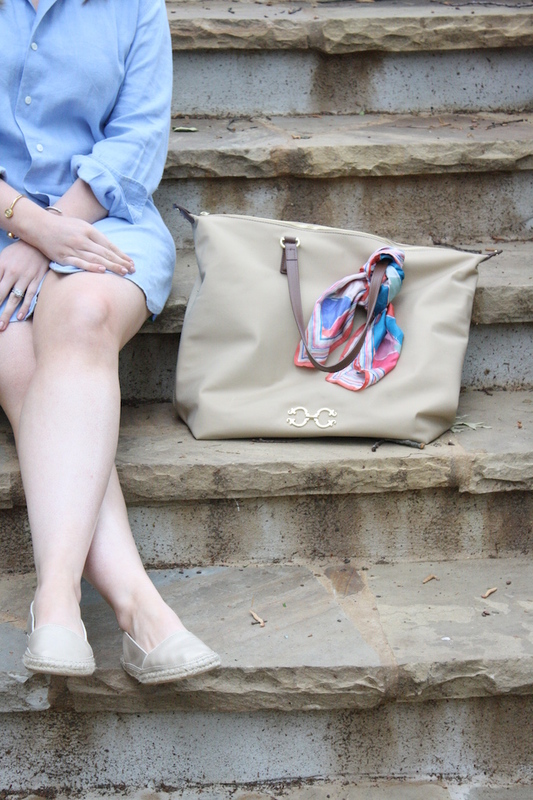 I'm especially smitten by pairing it with the gold espadrilles and scarf tied to my bag. Love. It. I did end up pinning the bottom of the dress shirt just to make it a little less open. I can see myself wearing this outfit to run to the farmer's market, and I was too excited when I realized the oversized shirt would make a fantastic beach cover-up! Can't wait to take this with me to Sea Island next month! Even though you can't find these exact items at thredUP, you can definitely use them as inspiration. 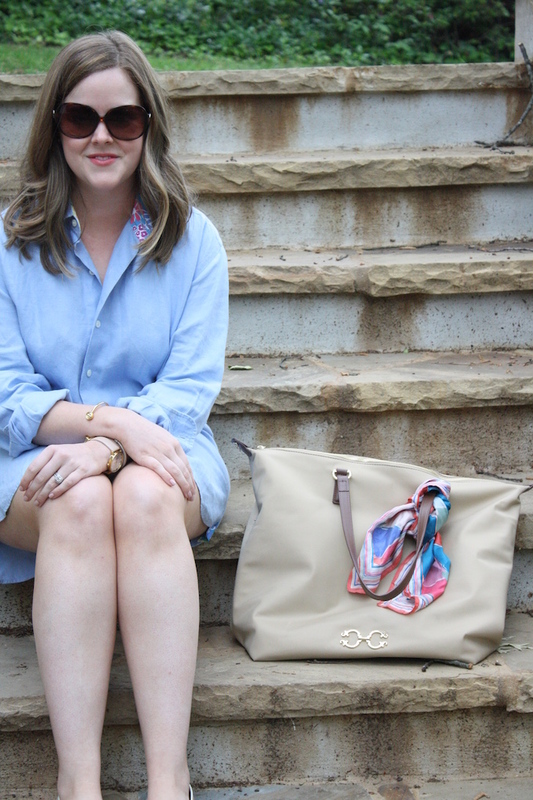 Just search "chambray shirt dress," "silk scarf," and "espadrilles," and let me know what you find. Don't forget to shop here and use the code CAL21 for 21% off of your order for a limited time only. I can't wait to see the deals you score! P.S. Shout-out to my awesome neighbors for having the best house ever to take photos at and for letting me take them there! so cute! I love that dress! Great finds! I absolutely love thredUP!